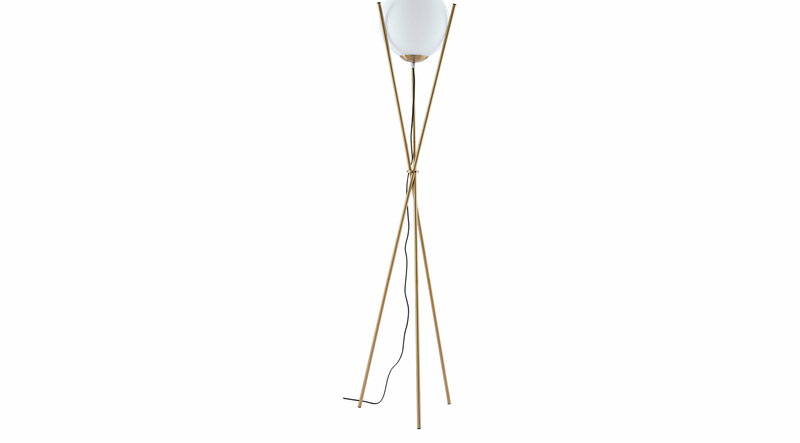 Sculptural lighting is brought to new heights with our Pocola floor lamp. Its frosted glass globe seems to float in between the tall twisted tripod brass base. Looks gorgeous next your favorite chair or sofa.